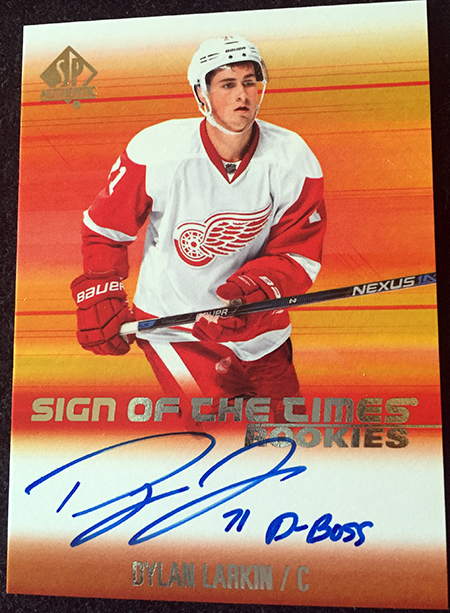 Dylan Larkin is a rookie that has certainly been on collector’s radars this season. His impressive maturity and incredible play have made him a fan favorite for the Detroit Red Wings. Upper Deck has enjoyed working with Dylan not only on the trading card side of the business, but for signed memorabilia as well. 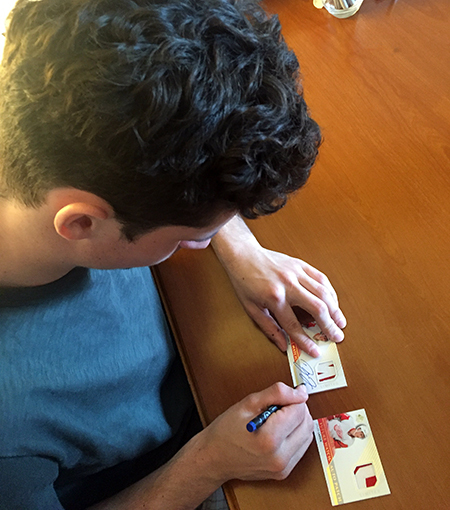 Check out some cool images from a recent signing with Dylan for trading cards and memorabilia! 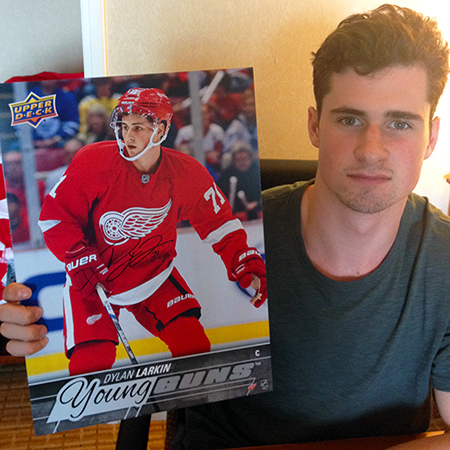 Signed blow-up versions of Larkin’s popular Young Guns rookie cards will be available on the Upper Deck Online Store very soon! Larkin’s rookie cards this season have been red hot, especially those including his autograph! 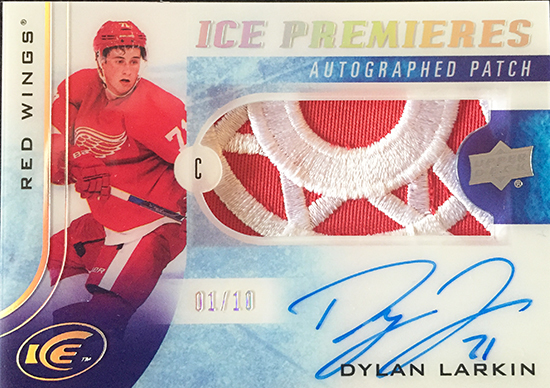 Here’s a sneak preview of one of Larkin’s autograph patch cards from 15/16 NHL ICE! 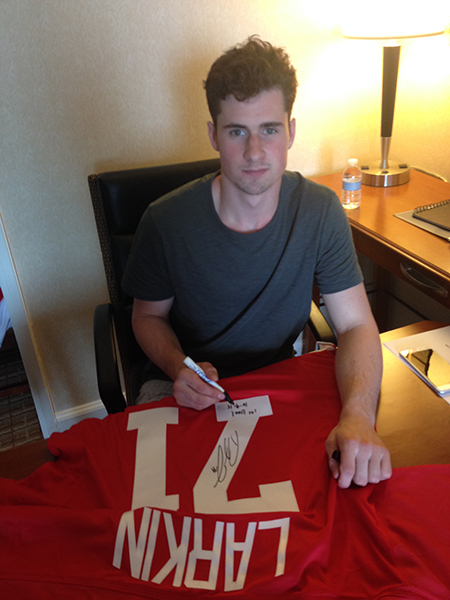 Some of Larkin’s SP Authentic signed cards will also include inscriptions!